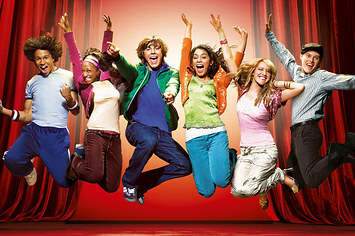 Sneak Peak of High School Musical’s 10th Anniversary! The movie that defined so many of our adolescent years is celebrating it’s 10th anniversary this month and (most) of the cast got together to reminisce. They released a snippet of what’s to come this Wednesday. While it doesn’t seem right without Zac present (his head is clearly no longer in the game), we’ll definitely be tuning in. Who doesn’t love a throwback? WATCH OUR INTERVIEW WITH ZAC HERE. Next Story → My Body Sings Electric Releases “Unimpressive” Music Video! Echosmith Performs on the Today Show! Ferris Fest Is Coming to Chicago!